When the copy of OnRush arrived at my desk, specially sent from Apex Interactive, I was rather torn. I am not the biggest racing game fan, yes I do love cars and I do love gaming yet mashing the two together never really got my heart racing. More a slight flourish every now and then. But at the same time, who would give up the chance to put a free game into their console, fire it up and play it only to have to give your honest opinion on it? So off I went, opened up the cover popped it and did the small 2.4gb update, and off I went. 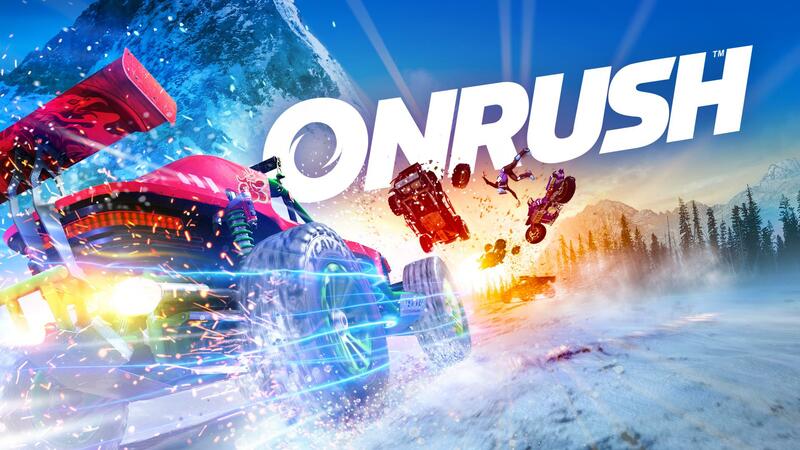 At a very crude level I suppose you can call OnRush a racing game, but that is the only thing it has in common with the likes of Forza and Need for Speed. In OnRush the aim of the game is not to beat your opponent to the finish… Oh no, in OnRush there is no first place and last place, or even laps for that matter. Simply a winning and a losing team, and the race itself is called a stampede. And that is a very accurate description of it. It is simply a mashup of cars that careen through a course causing destruction and mayhem at frequent intervals. This somewhat chaotic approach to racing takes time to get used to but once you accept that you are not going for hotlaps and fast sectors in OnRush the game has a certain charm to it that keeps you loading up another “stampede”. Another thing I quickly noticed was that during OnRush my acceleration button was firmly planted ALL the time. Most of the time in conjunction with the boost button, because speed makes everything better in OnRush! The boost can be generated in a few ways, namely, taking out other players, getting air, or doing tricks and barrel rolls on bikes or driving over dead drivers tombstones. If with all that you still find yourself without boost, the game provides literal “fodder” yes they are called fodder in-game as well, which you can take out and gain some boost. Apart from the boost gauge you get your Rush meter, filling the Rush meter activates what is easiest described as your boost on steroids! The screen blurs and a aura appears around your car with the change of soundtrack which really sells the feeling of you truly blasting of after, or ahead of the pack. Although this Rush features surely sells the part of making you seem invincible but in OnRush you will quickly learn that you are far from untouchable! There is also a fair amount of vehicles to choose from each bringing with them a set of advantages for example the Blade, a motorbike that leaves a trail of fire when you use Rush. The outlaw, drains boost from opponents when you pass them. Many more ingenious features have been built into the vehicles which I really think adds to the fun- factor of Onrush. 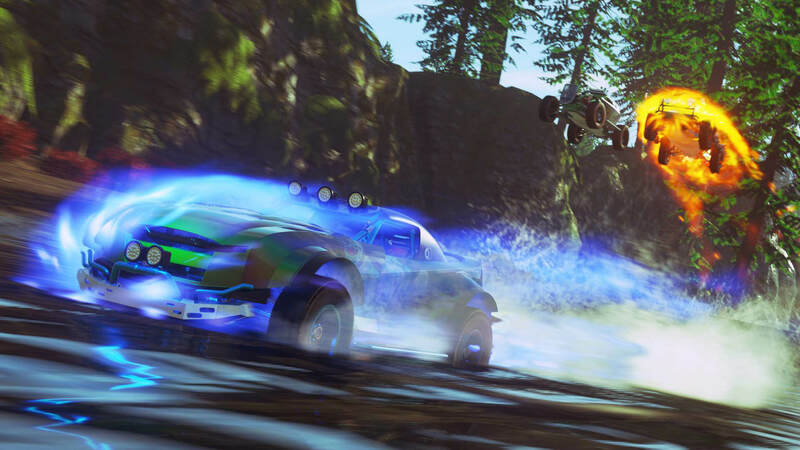 In OnRush you have 4 game modes at your disposal of which Overdrive is the most basic. The aim of OverDrive is to simply rack up as many points for your team by keeping the boost going, demolishing opposing team members or activating your Rush. This is a perfect way of warming up. Countdown is a race against the clock where each team is allotted 30 seconds to rack up points while driving through gates which give you a few extra seconds to keep going. Lockdown is the OnRush version of king of the hill. You will find a circle moving along at generally the same pace as the stampede and the aim is to keep your team in this circle for 5 continuous seconds, which sounds like no time at all, until you try it… Lastly you have Switch which ,like the name suggests, has you starting off with the starter vehicles like the blade or outlaw and with every wreck you are required to upgrade to the next class of vehicle until you reach the top class at which time your mission changes to elimination to get rid of the opponents remaining switches. Superstar mode is OnRush’s take on single player mode. Although it feels more like a tutorial to the multiplayer than a actual campaign. Did I mention you can Co-op with up to 6 people, that’s a nice touch. Each mission is created and made to suite the vehicle given to you which is more of a way to familiarize you with all the cars and their abilities. When I fired up OnRush I immediately felt some old-school Burnout in the mix and with the vibrant art-style it really gave me some Overwatch mixed in there, and even the menus all have a sense that the developers of OnRush definitely played a load of Overwatch, which is not a bad thing. Graphically Onrush is really good, it looks, sounds and plays like a game that is meant to be fun, and that is what it is. 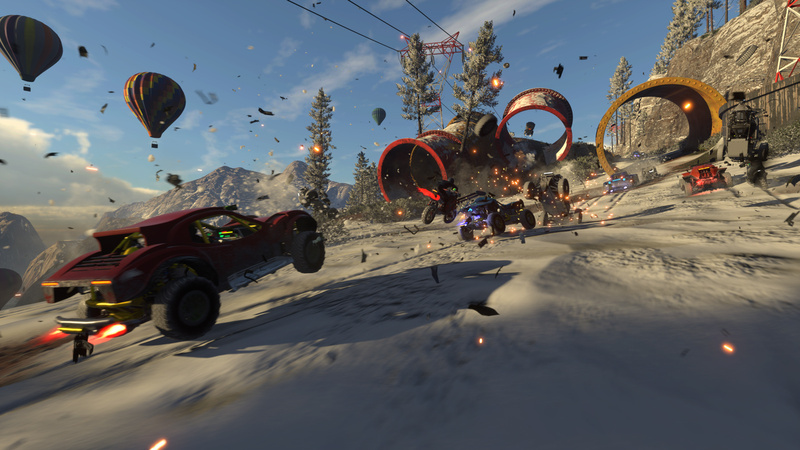 If you are looking for a serious racing sim-like game then steer clear of OnRush. If you want to join a few friends, cause mayhem and have fun OnRush is your game! 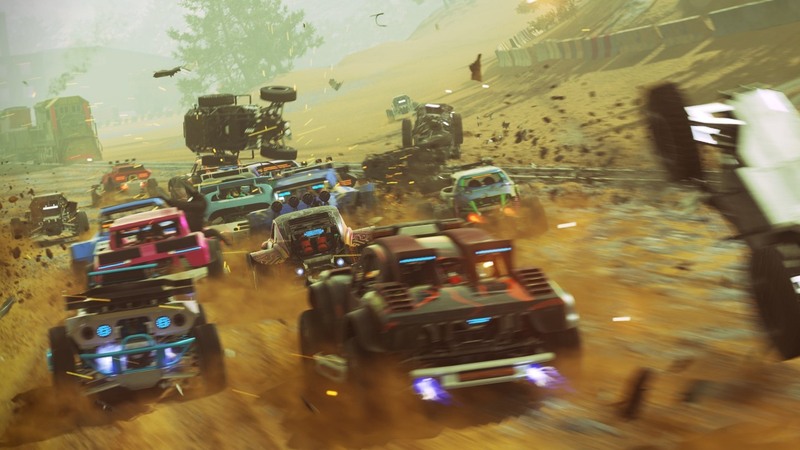 OnRush will change the way you think of racing titles and that is, what I think, the developers were trying to achieve. There is no other arcade racer like this. Period! Thanks to Apex Interactive for being so generous and allowing me to try this game out.